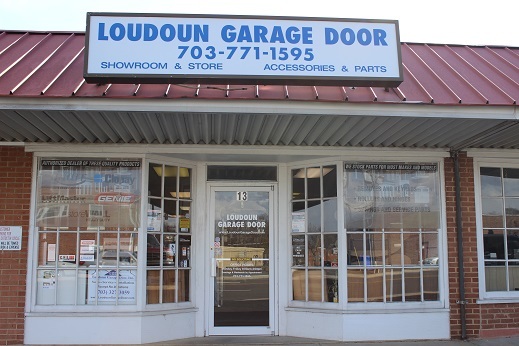 Loudoun Garage door has replaced springs a couple of times for us. Recently my garage door stopped rising all of the way. It would stop half way up. Randy didn't want to charge me the visit fee necessarily as this is a common issue that sometimes can be easily fixed. He gave me guidance on what to try which took a quick trip to home depot and a few minutes of work. I appreciated the honesty and willingness to help. I would highly recommend Randy and his firm. Called to request same day service. Dwight arrived at the house in less than an hour & replaced 4 extension springs on 2 garage doors. He was thorough, professional, & efficient. In just a little over an hour, both doors were operating better than new! Thank Dwight & Loudoun Garage Doors! We appreciated working with you & the quality of service we received. Thank you. Thank you for your rapid responce. You came highly recommended & I understand why. Thanks again. We are building a new construction house and happened to see Loudoun Garage Door on our way out of TW Perry. Thankfully we stopped in, and although we weren't quite sure what we wanted, Whitney helped give us options and figure out what we wanted. We were astonished at how affordable they were, and ended up having them supply and install our two garage doors. We absolutely LOVE the doors, they are one of our favorite parts of our new house. The installation was quick and everyone we met was very helpful. Would recommend them to anyone and everyone. You\'ll Be Glad You Did.